There has been a lot of coverage of the anniversary of the atomic bomb on Hiroshima, Japan. Long argued to have been the event which brought about the end for the Second World War, but also an event which killed tens of thousands of innocent people. The Guardian’s look back at how the ‘Manchester Guardian’ as it was then covered the event provided a useful reminder that hindsight often packages up events in a way it isn’t possible to when details are still emerging. The Indy Star used a tool called Nuclear Secrecy (and credited the fact clearly too) to replicate the impact ‘Little Boy’ bomb would have had if it had been dropped on the centre of their city. The map also provides estimated casualties and details of the radius of different levels of damage. So they’ve made good use of a digital tool, so what? Well, first of all, they’ve made good use of a digital tool – but they’ve used it to put a big event into local context using data. The fireball that would incinerate pretty much anything would be contained within the four square blocks around Monument Circle, fitting in between the borders of Ohio, Pennsylvania, Washington and Illinois streets. Starbucks on the Circle? Gone. Columbia Club? Gone. • Concrete buildings between New York, Delaware, Maryland and Capitol would be severely damaged. 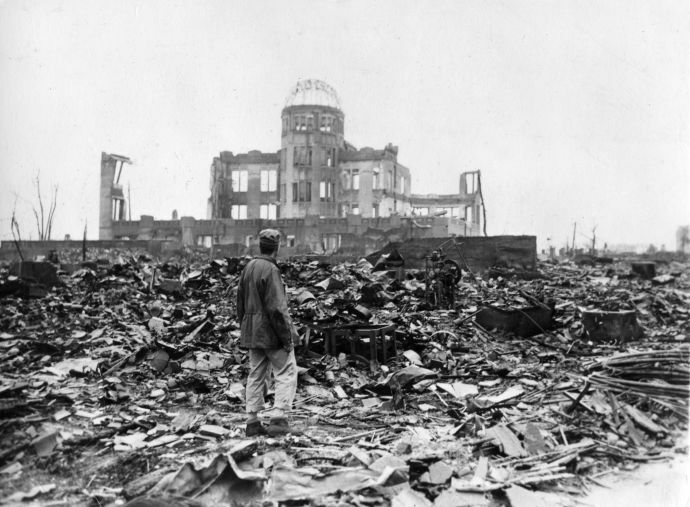 The scale of the Hiroshima bomb isn’t hard to imagine, thanks to the fact that TV cameras were on hand to record both the bomb and the tragedy which followed. But this approach to data journalism helps bring a big event home in a new way for readers. As ever, it’s data applied to local knowledge applied to good journalism.